Congratulations go out to Lynne Barrett on winning the Gold for General Fiction at the Florida Book Awards, which every year honors the best work produced by Sunshine State writers. 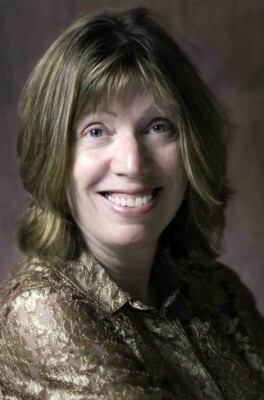 The English professor will collect her award – which celebrates Magpies, her latest collection of short stories – at the Florida Heritage Month 2012 awards ceremony sponsored by the State of Florida’s Division of Cultural Affairs. Now in its sixth year, the competition honors 17 scribes for their “clearly demonstrate[d] quality and depth.” Among the authors who will be feted at the awards presentation is Sen. Bob Graham, who won the bronze in the Popular Fiction category for his Keys to the Kingdom. The Florida Book Award will be a new point of pride for Barrett (previous awards include Best Short Story at the Moondance International Film Festival, for a story that appeared in her second collection, The Secret Names of Women), and potentially help bring in a new crop of fans. And the good times won’t stop there for Barrett. She also will be among those honored at an awards banquet as part of the annual Florida Library Association Conference in Orlando in April. Meanwhile, Magpies will be recognized in the summer issue of FORUM, the award-winning magazine of the Florida Humanities Council. Signed copies of the book will be placed in the Governor’s Mansion Library and in the permanent collection maintained in the Lobby of Florida Library Association Conference (the home of the Florida Book Awards). 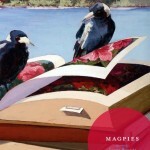 Barrett says the months that have followed the release of Magpies last September have been a balancing act.